Comics have come a long way since Milton Caniff could put a hideous Chinese stereotype in a family newspaper, or create a racist World War II guide to telling “Japs” from Chinese people — right? Well… but what about those papers today that only want one “black strip” — Candorville or Curtis, but not both? The top ranks of Marvel & DC heroes are overwhelmingly white — and, thanks to “regressive storytelling” at DC, they’re becoming more so. Black heroes, Hispanic heroes, seldom have their own titles. And, oh by the way — how about some characters with roots in India? Please? Tim, Kumar, and Mulele discuss the past history of racism — intentional and not — in American comics, and the present-day reality of most comics’ racial non-diversity. Also: Why Canadian-citizen Kumar never cared about Alpha Flight! A new beginning for the black superhero? Is Mark Millar sexist and racist? Why does this insanely racist thing happen in Spider-Man: Fever? 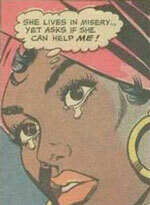 8 users commented in " #234 Race Issues in Comics "
What a coincidence. I was going to mention that this would have been an interesting topic. I recently saw this article which might interest you. The new Blue Beetle, Jaimie Reyes, is hispanic. So was the female Wildcat, IIRC. The most infamous is Vibe from the “Detroit era” JLA. I think that Maya from Justice League International is Indian. Maybe. Qamar — like Kumar said in the episode, there’s something going on lately — so many articles about race issues in comics! Thanks for the link! Paul — Thanks for those. Not being a DC reader, I wasn’t familiar with those. Damn, I forgot all about the Tintin thing! There were soooo many links and related subjects to keep track of, I clean forgot about it. 1) In order to make their money back, movies MUST reach an international audience, and therefore must appeal to them / not offend them. Most comics don’t attempt to stretch across borders like that, and therefore don’t need to worry about ethnic diversification in their storylines. 2) In the 31st century everyone is going to be the same shade of brown anyway, so the whole “black or white?” discussion is moot! 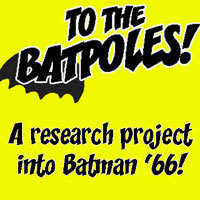 Great episode, with the exception of the shot at the X-Men. First of all, you’re wrong in that no foreign country ever got two X-Men. Colossus was from Russia and his little sister joined the school as well, eventually becoming a member of the New Mutants. As far as nationalities go, Thunderbird was a Native American, and the the co-leader of the New Mutants, Dani Moonstar, was a Native American as well. Forge also had an emphasized Native American heritage. Technically there was only one Japanese X-Man (Sunfire), but there were so many supporting characters from Japan. Yes, Nightcrawler was introduced as German, but Mystique was revealed to be his mother, so that kind of counts. As long as we’re getting into supporting characters and villains, the X-Men have a TON of international personalities. Personally, I really get pissed off when people try to shortchange the X-Men this way. I’ve also heard people say that Claremont’s international characters were shallow because they used catchphrases like “By the White Wolf!” (Colossus) or “Mein Gott!” (Nightcrawler). But there’s really nothing racist about those exclamations. They don’t scream stereotype any more than bookish Hank (Beast) McCoy’s “Oh my stars and garters!” does. All comic characters had their routine quips (like The Thing talking about his Aunt Petunia, or Wolverine saying “Bub”). You guys make a lot of good points, but beyond a certain level I feel like you’re complaining just to complain. What you guys neglected to mention was that, in a lot of your “racist” examples, the comic creators WERE TRYING to be more multicultural. To a significant extent, I think the problem isn’t so much racism/exclusion as it is heavy-handed or ham-fisted handling of non-white characters by white creators. With the Indian character in Archie, for example, it’s clearly an ATTEMPT by the creators to include a non-white character…but they just don’t know how to go about going it naturally. They’re uninformed and self-conscious–THAT’S the problem, not any “racist” intent. Of course, some of your older examples are out-and-out racism, but I think you need to put things in context. I never thought I’d hear a podcast where the Green Lantern/Green Arrow ’70s stuff would be cited as a POOR example of race in comics. You can’t read that comic as if it came out in 2010. You have to understand that it was written in the ’70s and that the creators didn’t even think it would be remembered years later. You have to look at things like that as healthy ATTEMPTS that pushed things forward. To complain and nitpick early breakthroughs like that (much less huge multi-cultural successes like the X-Men) makes it seems like there’s NO pleasing you guys. You have to learn to crawl before you can walk and, yeah, the American comics industry still isn’t doing a good job at including an array of non-white characters, but the blame doesn’t lie with Chris Claremont, Denny O’Neil and Neal Adams. If more creators were like those guys, we wouldn’t have these problems. Thanks for your comments, drazer90. 1) You are right about some of the supporting X-Men characters. I remembered Forge after the podcast. I thought about Mystique and Magik as well, but being related to existing X-Men — that’s weak: The problem we were trying to articulate with the X-Men was that mutations are naturally occurring and therefore should be proportional to population. If there WERE two characters from Japan (for example), then you are goddamn right I would still complain about that — “Oh they can put TWO Japanese characters on the team, but not ONE from India?” How can there be so many American X-Men and none from India. The population of India is ONE BILLION. Even if there were five Indian X-Men, I would still be asking why there aren’t 32. With Magik and Mystique, I’m wondering, the only other Russian and German they could find were blood relatives…? Yes, there are lots of supporting international personalities, but the PROPORTION is not right. 2) I’ve never had a problem with shallow catchphrases and we did not raise this as a complaint on the show. People speaking English as a second language tend to revert to their mother-tongue when emotional (I know this from 35 years of seeing my parents do it). Sometimes it is done ridiculously, for sure (most French people know to say Mister when speaking English intead of Monsieur), but in and of itself, I don’t have an issue with it. 3) Unintentional racism IS STILL RACISM. It does not matter if the intent is not racist. If I felt that black people are being treated unfairly in the world, and I wrote a story to correct the problem in which I said: “Black people deserve to be treated equally. It’s not their fault that they aren’t born as intelligent or cultured as White people.” That is racist. Maybe it is an attempt to re-dress some wrongs, but they are being racist / using racist tropes in the process. The Lois Lane story is the best example of this. Racism does not need to be intentional to be racist, and it is still damaging — that is the point. GL/GA was witten in the 70s, but EC’s anti-racism stories were written in the 50s and O’Neil/Adams comes out looking piss-poor in comparison. Those EC stories were hard-hitting. I agree that GL/GA was an attempt, but I do not agree that it was healthy — it seems like a step back after what EC did 20 years earlier. The idea that more creators being like Claremont and O’Neil/Adams would solve racial problems in comics leaves me speechless. We’d still be spinning our wheels in 1975. If anything, more creators need to be like Joe Sacco.